Around this time last year, it was hard to imagine that Persona would become as big as it has. Persona 4 was popular, sure, but not to such an extent that Persona’s rise to the big leagues was imminent. Or at least that’s how it seemed. Persona 5 has been out for a few months in North America now and its success is undeniable. Ir has left the realm of niche and become something much more. Obviously, however, Atlus can’t pump main Persona titles out every year, so we get spin-offs to pass the time. I’m completely fine with the dancing games which are a celebration of Shoji Meguro’s amazing scores, and Persona Q is just straight up fanservice. But these dancing games make me want a lot more, and the time is right. Persona 5 has boosted the series to immense popularity, but for those looking to see what came before it, options are limited. Persona 3 and Persona 4 originally released on the PS2. Persona 3 was eventually re-released on the PS3 with the epilogue chapter, The Answer, included as well as some additional tweaks to the game. Persona 4, however, received only a straight port. However, Persona 4 was somewhat remastered for the PlayStation Vita, which brought it back to the spotlight and kicked off a wave of spin-off games. But lets look at the systems these games are available on. If you have a PS3, great, but the games definitely look dated and the image is stretched to fit your 16:9 display. And if you don’t have a PS3 anymore for one reason or another, then your only option is a PS2, and whose still got a PS2 hooked up? And Persona 4 Golden is on the Vita. Nice handheld, but it’s install base pales in comparison to the 3DS and its console brethren, having reached only 15 million(And this is a guesstimate not by me and not an official figure.) in the 6 years since its launch. As a comparison, Nintendo’s Wii U, a system largely considered a failure, managed 14 million in 4 years. While there are certainly options, I think it’s safe to say that most people won’t go to all that trouble just to play two old PS2 games(Unless they played Persona 5 on PS3, then I could definitely see the digital re-releases as an option, but that still leaves PS4 users up for debate.). The solution? Remasters, plain and simple. The dancing spin-offs are great, Persona Q is great, and a Persona 5 Arena is likely inevitable, but a Persona 6 is likely three or more years off, and those spin-offs are pretty much all scheduled for next year. So what better way to fill in the gap than by releasing remasters of the previous titles? 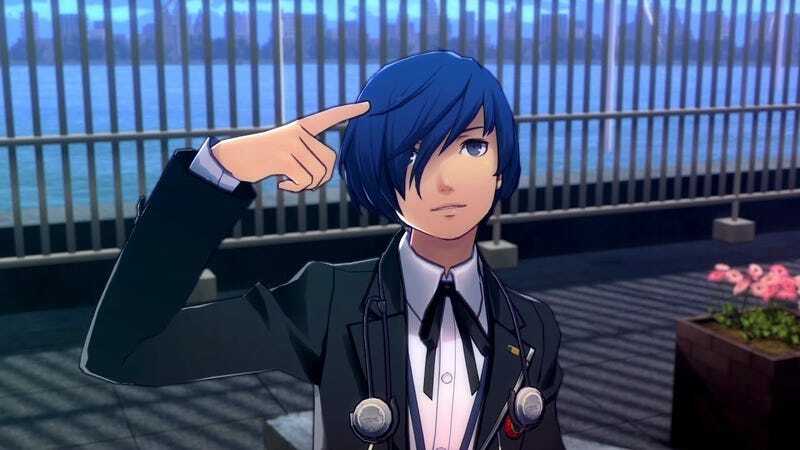 The simplest thing to do is give the games a new coat of paint, maybe combine Persona 3 FES with Persona 3 Portable for the definitive version, and release them. If they really wanted to go all out, they could of course remake the games in the style of Persona 5, but I doubt they’d go with that route. Or maybe they would, who knows what goes on inside Atlus these days.